featuring new work from Steven J Fowler, Outfit, Hannah Silva and Ross Sutherland. Torque operates at the nexus of mind, language and technology. It was founded by Nathan Jones and Sam Skinner in 2012 as an itinerant publisher, arts and curatorial platform. Torque’s practice is based in public research – we host symposia and publish to share the basis of our making practice as broadly as possible. Our collaborative art works often blend back into the research phase, consisting of installations, interventions, innovative text and digital media works which engage with people’s experience of technology and language in particular. Two iterations of the Torque project have taken us from a broad survey of interesting approaches to thinking the relation of thought, language and technologies, into a more detailed analysis of contemporary reading. Our latest book shifts this focus to consider the effect of blockchain technology on publishing and art practices. The blockchain is widely heralded as the new internet – another dimension in an ever-faster, ever-more-powerful interlocking of ideas, actions and values. Principally the blockchain is a ledger distributed across a large array of machines that enables digital ownership and exchange without a central administering body. Within the arts it has profound implications as both a means of organising and distributing material, and as a new subject and medium for artistic exploration. This landmark publication will bring together a diverse array of artists and researchers engaged with the blockchain, unpacking, critiquing and marking the arrival of it on the cultural landscape for a broad readership across the arts and humanities. 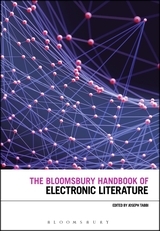 This book features a variety of original essays and poems exploring ‘the act of reading’, particularly the effect of technologies, philosophy and poetics on reading today.